Godolphin UK trainer Charlie Appleby will be aiming to enhance his highly impressive record on Victorian soil, having enjoyed enormous success during the Spring Racing Carnival over the past two years. 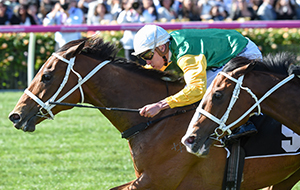 Last year, he claimed the Listed Cranbourne Cup with Folkswood, and the Group 3 Bendigo Cup with Qewy. 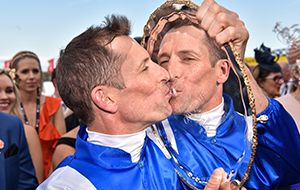 In 2016, Appleby finished runner-up in the Caulfield Cup with Scottish, before taking out the Group 3 Geelong Cup and the Listed Sandown Cup with Qewy, who also finished fourth in the Melbourne Cup; the Bendigo Cup and the Group 3 Queen Elizabeth Stakes with Francis of Assisi; and the Group 3 Lexus Stakes with Oceanographer. This year, Folkswood, star sprinter Jungle Cat and his fellow Group 1 winner Blair House are already confirmed travellers.